The Ynares Center is a 12,000 capacity indoor stadium located in along the Circumferential Road, Antipolo City, Rizal, Philippines. It was built in 1993. Antipolo is about 25 kilometers east of Manila, probably about an hour away. The Center is standing on a 5 hectare lot, is owned and operated by the provincial government of Rizal. Ynares is famous for holding PBA games, and a favorite venue for famous singers such as Regine Velasquez and the Cascades. This is also the choice venue for ABS-CBN programs like the Biggest Loser and Pilipinas Got Talent. 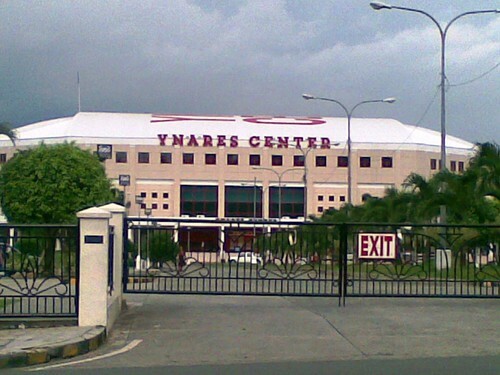 Ynares Center was named after a popular politician in Rizal.